The Lagos State Polytechnic, LASPOTECH hereby invites All candidates who made the institution as their Institution of choice, and obtained the minimum cut-off mark/score of 150 set for Polytechnics and Monotechnics in the 2014/2015 UTME and also have the required relevant credits as contained in the JAMB brochure. (1) Candidates are expected to make a payment of N2,000 (Two Thousand Naira only) excluding Bank charges to e-Transact or Interswitch (ATM Card-Verve or Master card) at any Bank. (3) Candidates are advised to visit the Lagos State Polytechnic website i.e. 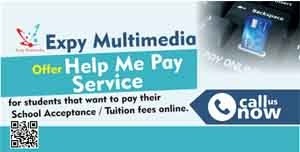 www.laspotech.net and follow the steps below to make payment on-line, fill-in their details and print out the screening slip. (i) Click on the “2014/2015 Admission” link at the left hand corner. (vii) Select the means of payment applicable i.e. e-transact or Interswitch(ATM Card-Verve or Master card). Enter the confirmation order and receipt numbers (these are issued at the bank at the point of payment) then click “Continue”. (ix) Complete the application form as appropriate. (4). You will equally be required and prompted to upload a colour passport photograph of NOT MORE THAN 20kb in size. (5). Read and accept the attestation, cross-check your entries on the application form, if okay Click “submit” application form. (6). Print out your Application form. You will be required to present this at the Screening Venue and also at a later date, so keep it safely. (iii) Parents, Guardians and other unauthorized personnel within and outside the Polytechnic will not be allowed at the screening venues during the Post-UTME Screening Exercise. (iv) Candidates are to ensure that a valid Email address and functional cell phone numbers are used as these will be the means of communication. (vi) Purchase and submission of form on-line will close on Friday 8th August, 2014. The screening exercise will take place between Tuesday 26th through Thursday 28th August, 2014. Applicants will be duly informed on the precise date, time and venue for the screening of their respective programmes of study on the LASPOTECH website: www.laspotech.net and their respective e-mail addresses/cell phone (sms). *Candidates should note that Screening starts at 9.00a.m each day at the Screening Venues and they will only be allowed into the school premises one hour (1 Hr) before their scheduled screening time. 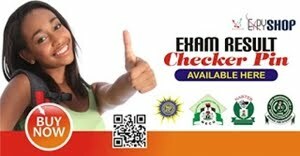 Get your JAMB Result Slip with passport on it for LASPOTECH Post-UTME registration. Click Here to Apply!